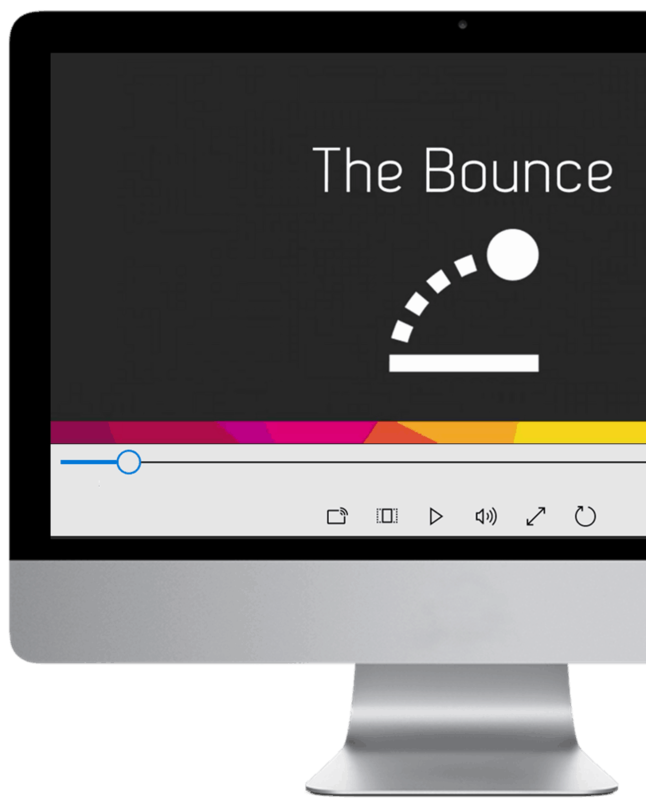 In this tutorial you'll learn how to spice up your presentations by creating 3D pictures (also known as out of bounds pictures). And the cool thing about this technique is you can quickly and easily pull it off in PowerPoint (no Photoshop required). 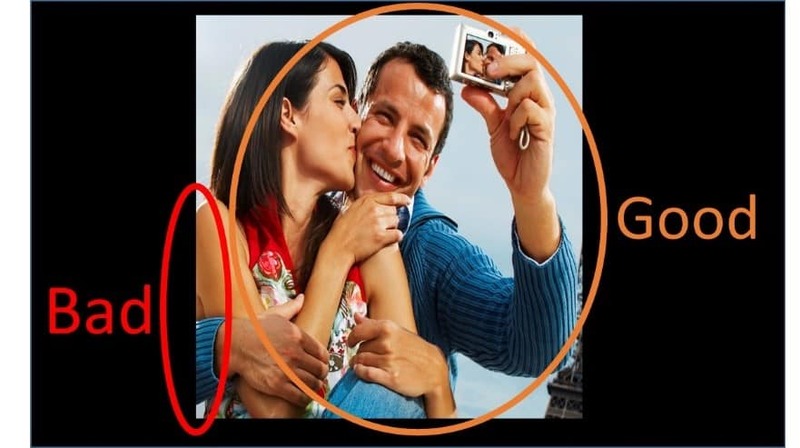 These background removal and picture cropping techniques work in all versions of PowerPoint 2010 and later. If you want to follow along with me in this tutorial, you can download the working files here. Download the working files here. 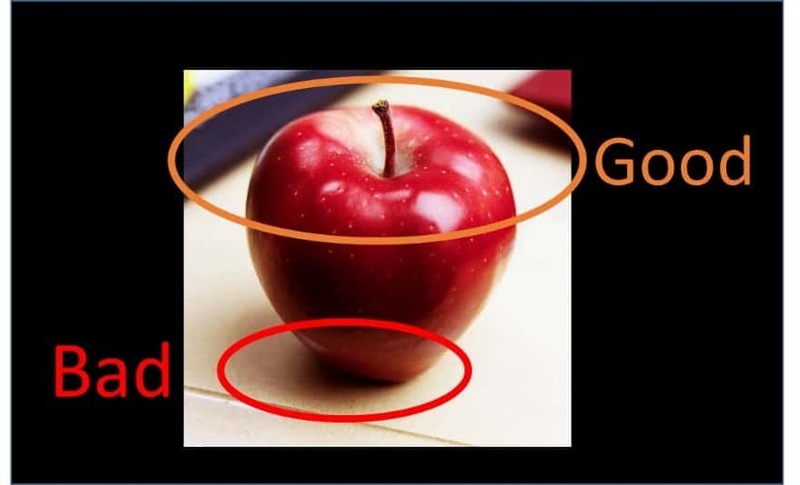 When creating 3D pictures in PowerPoint, you want to start with good pictures and make sure that the parts that you want to pop-out (the 3D effect) meets two specific criteria. ​​You want to make sure that your object stands out starkly from its background, as opposed to blending in with its background. 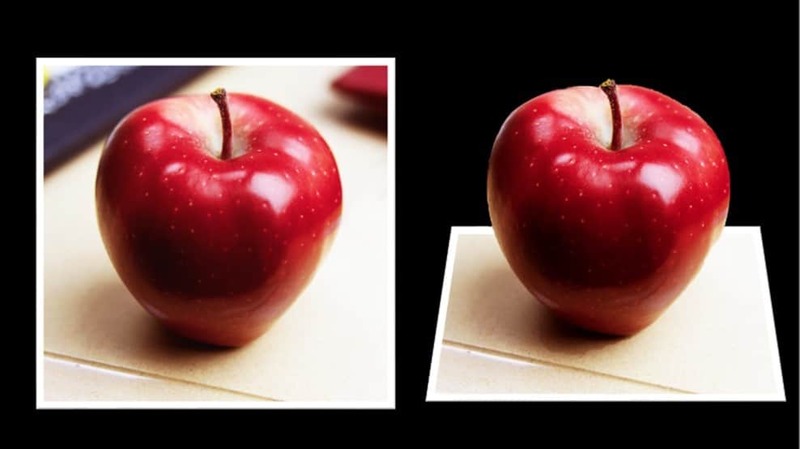 For example, the top of the below apple has good contrast (and is great for the 3D effect), whereas the bottom of the apple with the shadow does not, as it blends in with the desk. ​You want to make sure that your object is complete and not cut off. Note: Your picture doesn’t have to be perfect. Keep in mind that only the object within your photo that you want to create the 3D pop-out effect for needs to meet the above criteria. The picture itself doesn’t need to be perfect. 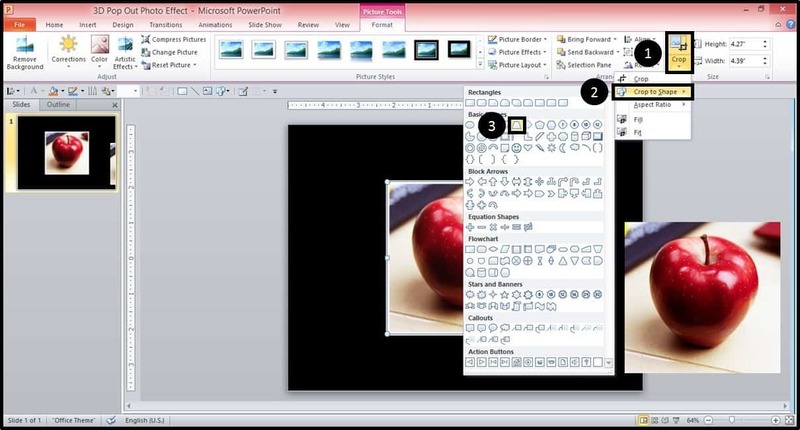 ​With your picture selected in PowerPoint, Copy and Paste the image to make a copy (or hit CTRL + D on your keyboard for PC users) and move it off to the right-side of the screen. We will use this copy in part 3 of this tutorial. Select the original picture in the center of your slide and from the Picture Tools Format tab select the Simple White Frame on the far left of the picture styles to make the image look more like a photo. 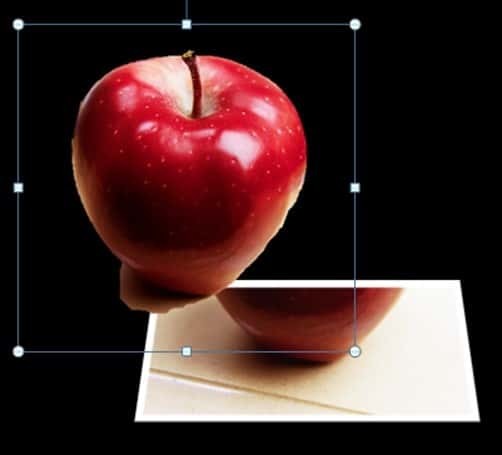 ​With the picture frame applied (and the image still selected) open up the bottom portion of the Crop menu, select Crop to Shape and within the Shapes Gallery, select the trapezoid shape. The result is your picture is cut into that specific shape. 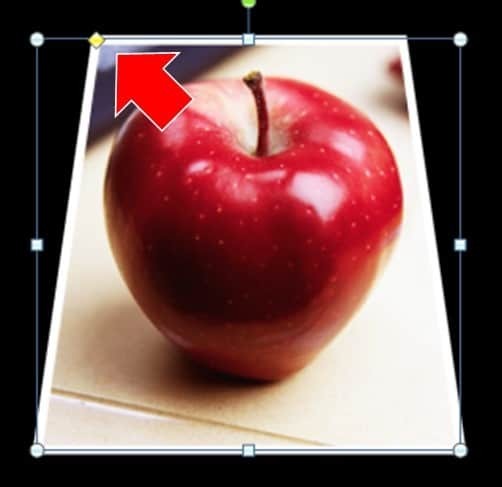 As a side note, you can use this Cut to Shape technique to cut any of your pictures into any of the PowerPoint shapes for your presentations. 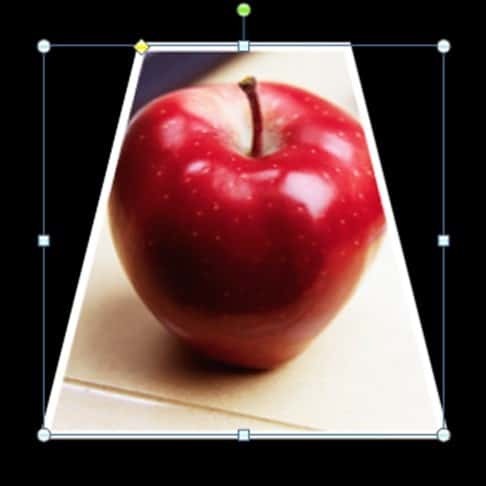 With the picture cut into a trapezoid, adjust the angle of the trapezoid so that you can see the entirety of the shape that you want to have pop-out of your picture (creating the 3D effect). To adjust the angle of the trapezoid, select the yellow diamond at the top of the shape with your mouse and adjust it manually to fit your picture. ​With the trapezoid angle set, hit the top portion of the Crop command (adds black dashed lines around your picture) and pull down the black lines (the center black line in this case) that frame your photo so that most of your image is cropped out (this will make sense in a moment). 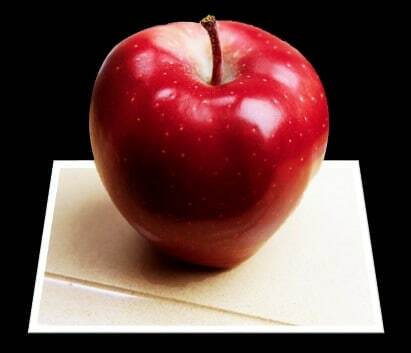 For this image of an apple, I’ve cropped it just below where it will be popping out (in the next step). 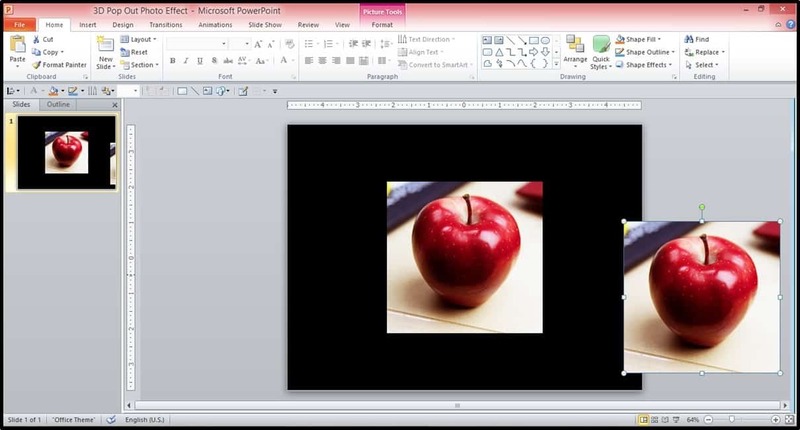 For more help cropping your images in PowerPoint, see how to crop a picture in PowerPoint. Note: You can play around with how much of the photo you want to crop out depending on how much you want the image to pop out in your 3D effect. You can also manually adjust this later, so don’t stress out on this cropping step. 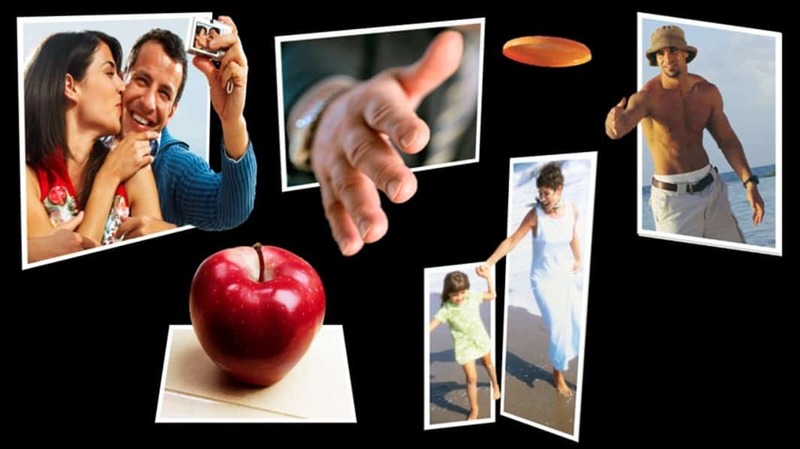 With the first picture all set up and cropped, now we’ll use the duplicate image we created in Part 2 Step #1 to create the 3D picture effect. Select the second, duplicated picture (I’ve moved it back into the center of my slide) and from the Picture Tools Format tab, on the far left, select Remove Background. Note: The Remove Background feature is not available in PowerPoint 2007 and earlier versions. 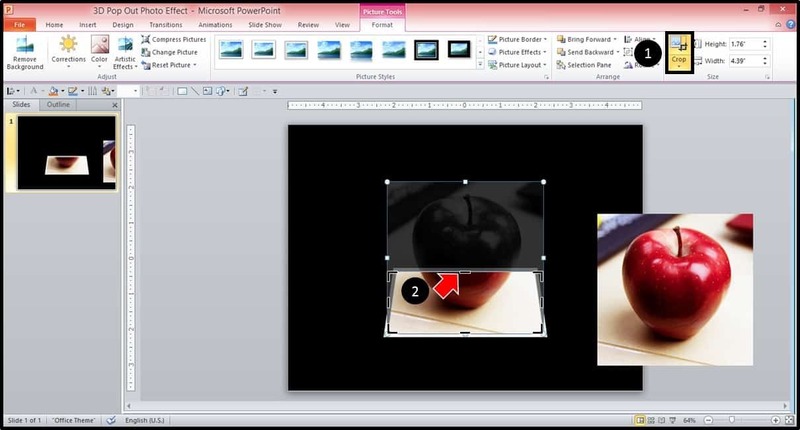 If you have an earlier version of PowerPoint, you can use the Paint program (pre-installed and free on most computers) to remove the background. Next, make adjustments to your photo using Mark Areas to Keep and Mark Areas to Remove commands in your Ribbon, until you have the entirety of your picture framed and the background that you want to remove in pink (see below image). Removing the background from an image can take some time, depending on your photo and how precise you’d like to be. When you are finished, hit Keep Changes in the Ribbon. 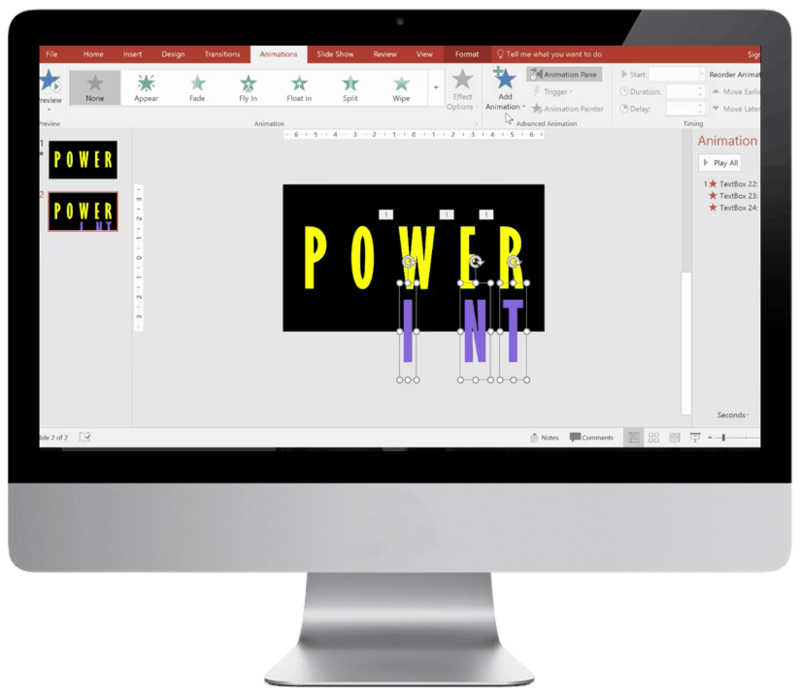 With the background removed from your picture, simply place it over your other cropped picture, aligning the two exactly, and you have created the 3D Pop-Out Effect here in PowerPoint! If you find that your image is too big at the end, you can reduce your file size by compressing your images. For help compressing your images to reduce your file size, see How to compress images in PowerPoint. Note: You can play around with the background trapezoid image (that we created in Part 2 Step #6) to adjust the 3D Pop-Out Effect. 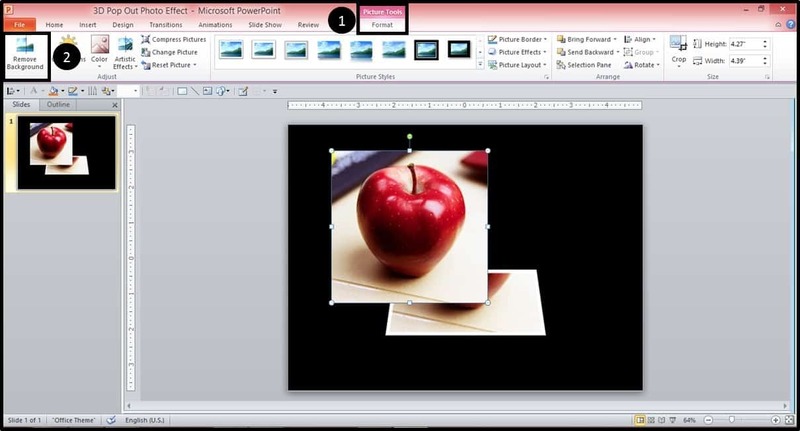 Set the 2D image on top of your 3D image and use a PowerPoint animation like the Disappear animation, to transition from the 2D picture to the 3D picture. 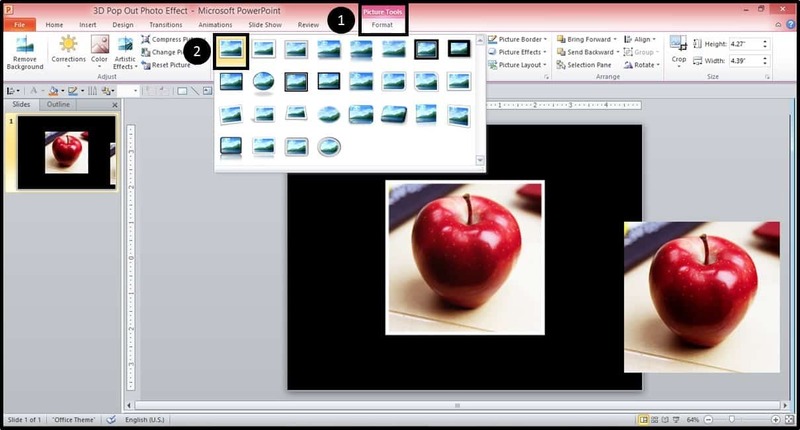 Set the images up on two separate slides (in exactly the same position) and use one of the PowerPoint transitions (such as Fade or Wipe) to transition from the 2D picture to the 3D picture. You can download the working files here and follow along with me. 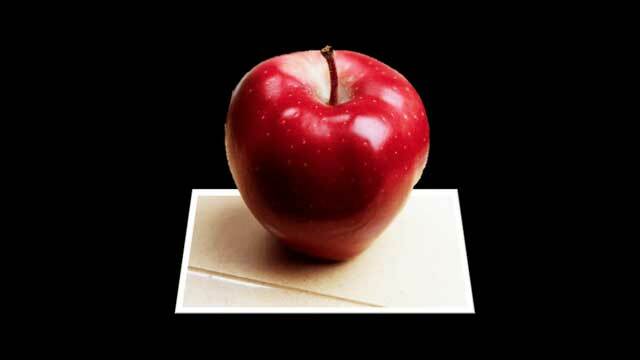 Where should I send these 3D Pop-Out Picture Effect files, so you can follow along and use them in your decks? They're 100% FREE.